With PORTWORLD Memory Stick you can take advantage of up to 10x faster transfer speeds when compared to USB 2.0 technology. Supporting USB 3.0, the new standard in USB flash storage. Provides superior transfer speeds over USB 2.0 with performance of up to 100MB/s. This extra performance makes the 256GB thumb drive the perfect choice for large file transfers so you can always have your data in a fast paced, demanding lifestyle. 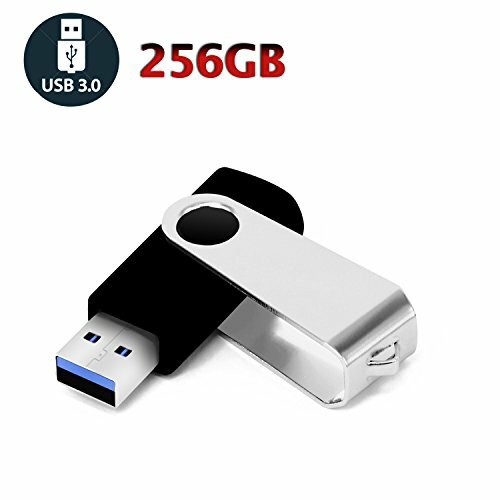 Offering superior compatibility with easy plug and play functionality, the 256GB thumb drive delivers seamless compatibility with Windows 8, Windows 7, Windows Vista, Windows XP, Windows 2000, Windows ME, Linux 2.4 and later, Mac OS9, X and later. Interface: USB 3.0. Backwards compatible to USB 1.1 & USB 2.0. Storage Lifetime: More than 5 years. Transfer speeds approximately 10 times faster than standard PORTWORLD USB 2.0 Flash Drives. Capless and Swivel Cover Style , anti-shock, waterproof, do its job properly, the capless design can avoid lossing of cap, and providing efficient protection to the USB port. High speed USB 3.0 pen drive, more efficiently and effectively. Simply plug and use, no need to install any software. If you have any questions about this product by PORTWORLD, contact us by completing and submitting the form below. If you are looking for a specif part number, please include it with your message.